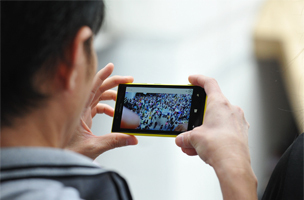 The right person with a mobile phone at the right time can disseminate news sooner than newsrooms. But publishers should be aware of the potential pitfalls when using social media to research and report. Jenkins and Carvin agree that it’s more important to verify news gathered on social than to publish first, or even at all. Journalists and news organizations are turning to the crowd’s aid for reporting and photography, since the right person with a mobile phone at the right time can often give a good picture of the news sooner than newsroom staffers. In “Accurate, Fair & Safe: The Ethics of Social News” at SXSW, two industry pros discussed the benefits of social news gathering — but the benefits don’t come without pitfalls. Eric Carvin, social media editor at the Associated Press and Mandy Jenkins, managing editor of Digital First Media’s Project Thunderdome, are on a committee within the Online News Association. The Social Newsgathering Ethics group hopes to solve five of the biggest problems associated with social news reporting (that is, newsrooms collaborating with citizen journalists, or borrowing photos from social networks). But before they can solve them, the problems must be identified, said Carvin. With social, everything has the potential to go viral. And if the piece of content isn’t verified by a trusted news organization as being an accurate depiction of reality, it can be severely damaging. That’s why it’s essential that publishers get it right, especially on deadline or when it involves reporting natural disasters and conflict. The alleged street-swimming shark photo was first posted to Reddit, and then picked up by news organizations. 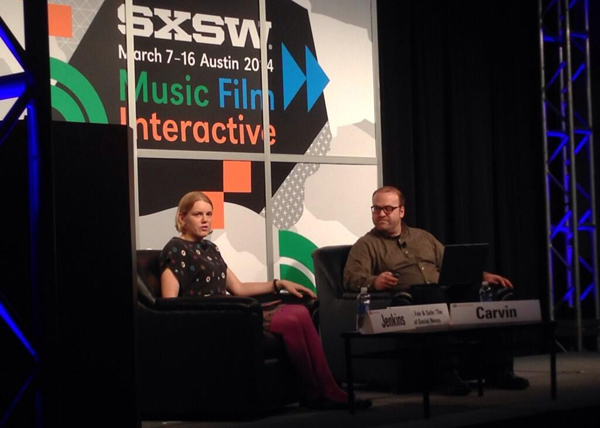 “When we see something that might be of value, we’re talking to our experts in that particular format,” Carvin said. 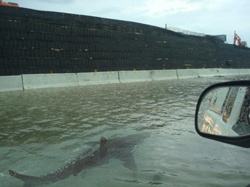 Remember the photo of the shark allegedly swimming in Puerto Rico streets post-Hurricane Irene? Extreme photos like this prompt Carvin to turn to his internal Photoshop experts. “At the same time, we are going to our reporters in the field so they can help us make an assessment.” Carvin says his normal protocol is attempting to contact the person who took the photo. Jenkins turns to technology to affirm or debunk usage of a photo. “Location, in my opinion, is one of the best forms of verification,” she said. Using Geofeedia, Falcon, TinEye, CO Everywhere and even LinkedIn, she can usually peg a source and determine whether or not their photo is trustworthy. But what happens if it can’t be verified? Use common sense, Jenkins said. “If it seems too good to be true, it probably is… If you can’t verify it, then we have to ask the question ‘is this worth [sharing] if it’s wrong? '” she said. Ultimately, in places where there is too much opportunity for injury or even death (war zones and areas of conflict like Syria), Carvin said he doesn’t encourage contributions from locals on the ground. “It’s not always worth it.” Still, it’s not appropriate to ask directly for these photos — only to receive them with proper permission. Publishing photos from social media platforms, whether public or not, still requires a specific request for permission, according to both Carvin and Jenkins. “We don’t want to be in the business of taking other peoples’ work,” Jenkins said.